The 500 block is being re-born slowly but surely, with numerous key changes taking place in the 2nd half of 2009. Starting from the northeast side, the new parking garage is now in use and always busy with city employees going to work at the City Center. Next door, the Velocity Cycling Studio has opened, with its morning and evening cycling classes so popular that it's not even that easy to get in one of them (reservations are very necessary). The old Ray's Downtown Blues club has a green construction wall around it, with something going on there. 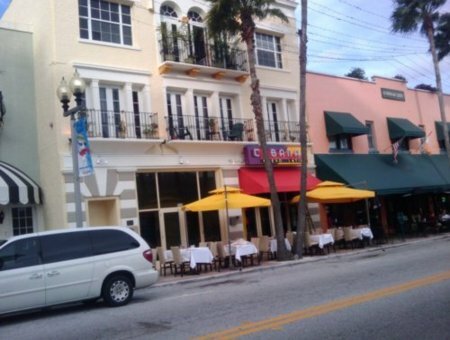 The former Napoli's has a sign saying Clematis Pizza, opening soon. 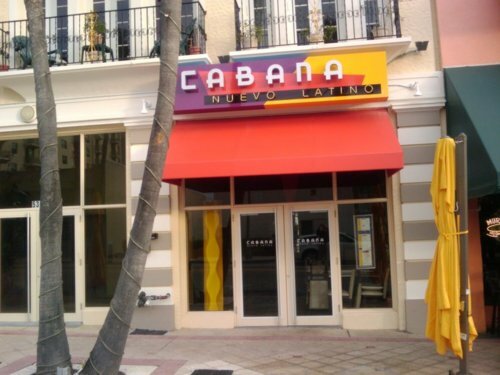 Just past O'Sheas Irish Pub, the great Cabanas Nuevo Latino restaurant (previously located on the 100 block) has just opened up. And just past that at the end of the block, the world-renowned glass sculpture Habatat Galleries has opened up. On the northwest side, the old dilapidated buildings have now been completely knocked down and cleared away. So the first actual building there is now a true operating business, the Respectable Street nightclub. In addition, part of the former site of Phat Sandwiches has recently become a small cellphone shop (Clematis Cellphone). And just past that, at the end of the block, the windows are papered up with a lease apparently signed for another restaurant to open up there on the corner. When I read the previous entry regarding struggles of the 500 block, written mid-year, it is very clear that the mood has changed palpably on this block. Those expected changes from the new City Center on the 400 block, along with the efforts of the Downtown Development Authority, are starting to take shape. There is still more progress left to be had, but this block has clearly turned the corner. Next, we should be seeing a raw food store/restaurant opening in the first floor of the new city parking garage, and hopefully other additions as well.